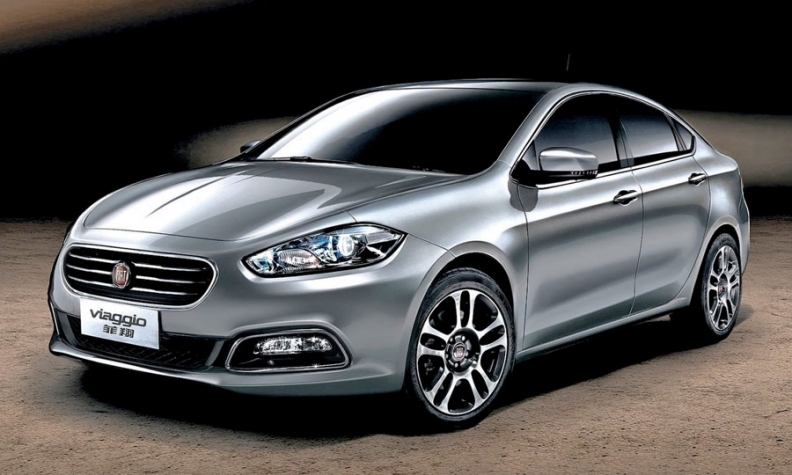 Production of the Viaggio starts in late June at a new plant in Hunan province. Fiat plans to sell 20,000 Viaggios this year and 100,000 in 2013. BEIJING -- Fiat China boss Jack Cheng is convinced the Italian automaker has learned from its past mistakes here. He predicts Fiat will find success in its third bid to gain a foothold in the world's largest car market because of products such as the new Viaggio. Cheng says the Viaggio is "an Alfa Romeo Giulietta you can buy at a Fiat price." The Viaggio actually is a reworked version of the Dodge Dart, which is based on the Giulietta, and the price has not been announced. The bottom line is that the Viaggio is a crucial first test for GAC Fiat Automobile, the 50-50 joint venture between Fiat and China's Guangzhou Automobile Group. The joint venture will start building the Viaggio, which means "journey" in Italian, on June 28 at a new plant in the Changsha Economic Zone in Hunan province. Fiat plans to sell 20,000 Viaggios this year and 100,000 in 2013. In 2011, Fiat brand sold fewer than 2,000 vehicles in China. Fiat is getting started at a tough time in China. After years of double-digit growth in new-car sales, demand is weakening because of a slowing economy and higher fuel prices. The China Association of Automobile Manufacturers still says new-car sales will rise 8 percent this year, but it has kept open the possibility that the figure could be lower. Cheng, who is GAC Fiat general manager, said Fiat and Guangzhou have not decided the Viaggio's price. But he confirmed that the car would compete with the Chevrolet Cruze, as well as the Volkswagen Lavida and Sagitar. Those models start at 120,000 yuan, or about $19,000. At that price, the Viaggio would also be considerably less expensive than the Fiat 500 minicar in China. Customers in China pay about $26,860 for the 500, which is imported from Mexico and subject to a 25 percent tariff. Fiat sold a couple of hundred 500s last year after its September introduction. The company expects 500 sales to rise to about 4,000 units, helped by new special editions such as the Gucci variant, which will retail for about $42,400. "The 500 is helping to shape the Fiat brand as 'la vita e bella' [Italian for "life is beautiful"], but the Viaggio will be our core product," Cheng said. Fiat brand CEO Olivier Francois told Automotive News Europe he is confident that the Viaggio will help end Fiat's struggle in China because the compact car will enter what he called "the largest segment in the world's largest market." The segment accounts for about 6 million annual sales in China. Sales of the Viaggio will begin in September. Cheng said 48 dealers have finished construction and another 46 have signed contacts and are building stores. "In China, you normally take from 90 to 100 days to build a dealership from scratch, so I am confident we can have around 90 dealers and 125 selling points ready for the Viaggio sale start in September," he said. Cheng estimates that each dealership will sell about 1,000 Viaggios a year, and that this will attract more dealers. "We plan to grow to 175 dealers by 2013 and to 250 a year after," Cheng said. In Chinese showrooms, the car will carry not only the Viaggio badge, but a translation in Chinese characters that means "flying." The plant in Changsha will have annual output of 140,000 units, a level Cheng said could be reached in mid-2014. GAC Fiat plans to add a hatchback version of the Viaggio, which is expected to boost the plant's output to 200,000 units a year. Fiat is considering exporting the Viaggio hatch to Europe to replace the slow-selling Bravo compact. Cheng said that would not happen until after Fiat surpasses the 200,000-unit level in China with the Viaggio sedan and hatchback. In order to expand the China plant's output to 250,000 to 300,000 units a year, Cheng said GAC Fiat would need to add models. He declined to be specific. Asked about adding Jeep models to the China production lines, he said this is "one of the possibilities on the table." Locally based suppliers will play a key role in producing the Viaggio. GAC Fiat will open an engine factory near its car production plant to build 120-hp and 150-hp versions of Fiat's 1.4-liter gasoline engine. The engine will be for the Viaggio and an unnamed new model for GAC's own brand. That GAC model is due in 2013. 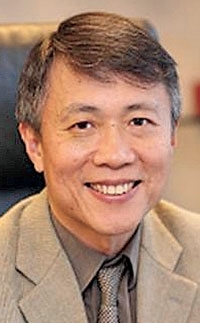 Cheng, 54, also is head of purchasing for Fiat Chrysler Asia Pacific. As a Ford veteran who joined Fiat's Chinese purchasing organization 51/2 years ago, he has a unique view of the definition of local content. "I honestly do not know the exact local content of parts I buy in China from international suppliers. Maybe the chip governing an engine or body control unit comes from Japan or Germany, even if the case says 'made in China,'" he added. The Viaggio is the first car built in China by Fiat since 2007. That was the year Fiat's eight-year joint venture with Nanjing Automotive Group Corp. failed. In December 2007 Fiat sold its share in its money-losing joint venture with Nanjing to China's Shanghai Automotive. Fiat then tried to form a partnership with Chery Automotive, but after two years that plan collapsed. "We restart from scratch after two jump starts, but now we have the right partner and the right product," Chrysler-Fiat CEO Sergio Marchionne said at the Beijing auto show last month. Marchionne said Chrysler Group already is making money in China with the Jeep brand. Starting in June, the Chrysler brand will be reintroduced to the market with the 300C large sedan. Fiat is also making money in China with its Iveco heavy-truck arm, Marchionne added. "I worked for eight years to fix our flaws on passenger cars in China," Marchionne said, "and finally here we are."